Home Mattress Basics What is the best pillow? How do I choose my best pillow? The goal of a good pillow is to keep your body in neutral alignment. Pillows are a personal choice that very much depends upon the type of mattress you own, your sleeping style, and fill preference. 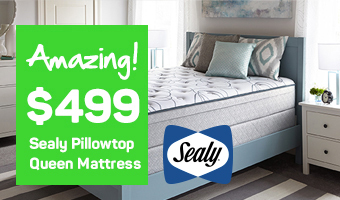 Here at Mattress World Northwest, our Oregon sleep specialists are committed to helping you find that heavenly piece of cloud to lie your head upon. Customers in search of the perfect pillow end up making a lot of mistakes that detract from finding their best choice. Don’t be fooled by high prices or buzz words that trick you into thinking one particular brand or material makes one type of pillow better than another. Consider the following four concepts when shopping for a great pillow. Firm mattress: the body lies higher, so a thicker pillow is required to prevent neck or shoulder pain. Softer mattress: the body sinks down in, so a thinner pillow is needed to prevent pressure. Side Sleeper: Look for a firmer pillow to fill the gap between the ear and shoulder. Consider a pillow tucked between your knees to prevent hip pain. Back Sleeper: Look for a thinner pillow to prevent your head from being thrust forward. Pillows with extra loft in the bottom third will cradle your neck best. Consider a pillow tucked beneath your knees to prevent low back pain. Stomach Sleeper: Look for the thinnest, flattest pillow possible. Consider a pillow to tuck below your stomach to prevent lower back pain. Allergies: Hypo-allergenic fills include the denser, firmer pillows: Latex, Wool, and Cotton. Eco-Friendly: Opt for organic wool, buckwheat, kapok (silky fiber from the ceiba tree), or natural latex. Snorer: Snorers may find relief from a memory foam, buckwheat or water contour pillow, which tilts the head just enough to keep air passageways open. Diabetes: New “Oxygen Pillows” help promote circulation by up to 29%. 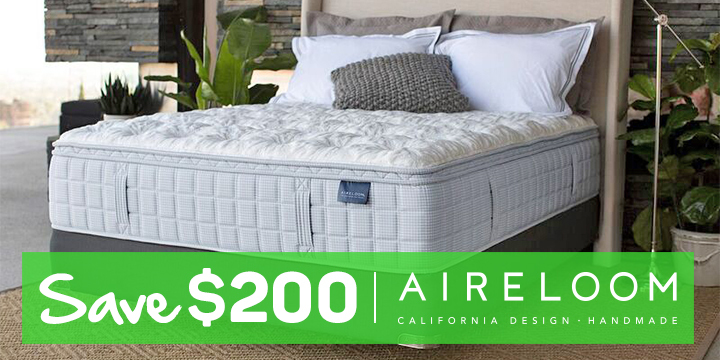 Pros: Shoppers love memory foam because it molds to the contour of the head and neck to relieve pressure points. Compared to polyfill or feather pillows, they are quieter for the toss-and-turner. Cons: Some brands are said to have a “chemical smell,” although this usually fades after a few uses. Compared to feather, these pillows can become hot and sweaty in the night. Tips: Look for a higher density for a longer-lasting pillow that offers greater support. Pros: Looking for the firmest type of pillow? Latex pillows are great for back and neck alignment. The material is naturally organic, mold/mildew/insect resistant, neutral temperature and biodegradable. Cons: Not everyone likes the “bouncy” feel of a latex pillow. Tips: Choose a “contoured” shape if you’re a side sleeper or a “soap” shape if you’re a stomach sleeper. Pros: These firmer, flatter alternatives to feather are ideal for stomach and back sleepers, and all-natural. Cons: Over time, cotton and wool pillows can compress into a harder surface and will eventually flatten past the point of no return. Tips: Add a cotton/wool pillow on top of a firm pillow for more cushioning and better temperature regulation. Pros: Looking for the softest type of pillow? Delicate feather down is truly like laying your head on the belly of a duck or a cloud. You can shift the material around to suit your comfort preference. If you tend to be hot in the night, feather may be the best pillow for breathability. Cons: You will need to “fluff” them each night to maintain the same level of comfort. Tips: If you choose “feather” rather than “down,” you may occasionally feel a quill poking through the material when you rotate position. Look for feather pillows with “double pillow” construction to avoid getting stuck in the face. Pros: Polyester is the cheapest type of pillow, so it tends to be one of the biggest sellers. Cons: Polyfiber offers the least amount of neck support and contour. Man-made fillings do not breathe as well for the hot sleepers. They are also most vulnerable to dust mite. Tips: Buy more than one pillow to stack if you’re a side sleeper. Pros: Eco-friendly consumers like buckwheat because it’s natural, cheap, contours to the head and neck, and lasts a long time. They offer great circulation for the hot-blooded sleeper. Cons: Buckwheat pillows are heavier than ordinary pillows and may contain allergens. The sound of buckwheat hulls shifting around in your pillow can make a racket. Tips: Look for an “adjustable” type where you can add or remove material to your desired comfort level. Pros: Compared to buckwheat, kapok is lighter and softer. This tropical tree fiber fill is eight times lighter than cotton and feels like down. 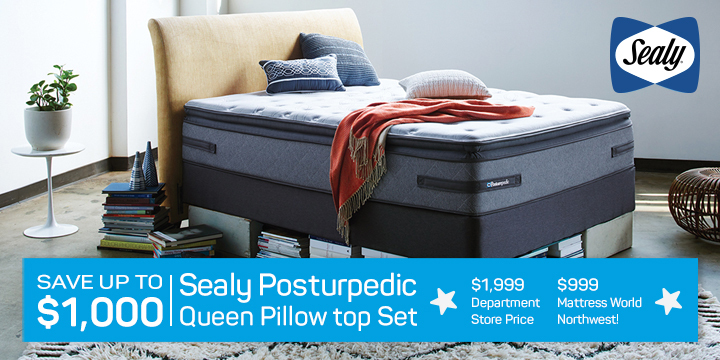 It offers plush support for back sleepers. Cons: The level cannot be adjusted without giving the pillow a lumpy look and feel. The “spongy-but-firm” texture is not for everyone. Tips: If you’re not completely sold on the feel, look for a natural 50/50 blend of kapok and cotton. Pros: Looking for the coolest temperature pillow on the market? Water pillows are not only cool to the touch, but they also contour to your head to relieve pressure points and can be adjusted based on fill level. Cons: This type of pillow is too high for stomach sleepers. Tips: Hot sleepers can benefit further from a “cooling” water pillow. Neck pain sufferers can find the best comfort with a pouch-style pillow. Like a good mattress, what matters most is how the pillow feels to you. Our Sleep Specialists can guide you in the right direction, but ultimately, we invite you to lay your head down on a few, take your time, and feel the difference for yourself. Come by one of our 11 conveniently located showrooms in the Portland are, including Canby, Wilsonville, Gresham, Jantzen Beach, Happy Valley, South Salem and Beaverton to find the best pillow for your sleep needs.